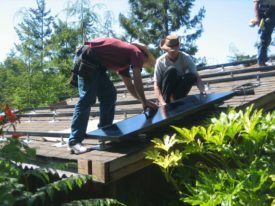 One in a series of video featurettes with Bruce Erickson, co-owner of Mendocino Solar Service. Bruce answers commonly asked questions. What is the difference between a roof mount and a ground mount.